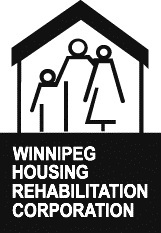 Winnipeg Housing was founded in the late 1970's as a not-for-profit corporation involved in the development, renovation, ownership and management of affordable housing primarily in Winnipeg's inner city. In addition to the development and maintenance of quality affordable housing we provide our tenants with the tools necessary to access many of the community supports available to them through resource coordination and education. Winnipeg Housing has its roots in the revitalization of Winnipeg's inner city. Many of Winnipeg Housing's currently owned and managed residential buildings were unique projects retrofitted during the 1980's. The buildings include a biscuit plant, printing warehouse, church, police station and many more. One example of our retrofitting projects is the Turner-Walker Building located at 425 Henry Avenue. It was designed by J.N. Semmens and originally built in 1912 by the Carter-Aldinger Company. Today, this building provides 26 Winnipeg families with affordable housing. In addition to property management, Winnipeg Housing has extensive experience developing residential single family and multi-family dwellings. Since 2000 Winnipeg Housing has been actively involved in residential development and rehabilitation in an effort to help revitalize our inner city communities. During this time we have established partnerships with other local housing groups and stakeholders to deliver affordable housing. Between 2000 and 2012 we developed 172 affordable homes, investing more than $17 million in Winnipeg's inner city neighbourhoods. Winnipeg Housing manages some of the best-maintained buildings in Winnipeg's inner city, providing safe and affordable housing to various demographics in our city. Through several funding initiatives, we also provide a wide range of supports to our tenants. Our tenant resource staff provide ongoing education and activities, and assist our tenants in creating and maintaining a positive community atmosphere in all of our buildings. Winnipeg Housing is indeed a great place to live! Our dedicated staff and committed volunteer board of directors have made Winnipeg Housing a model for others to follow in our ongoing efforts to revitalize Winnipeg's communities and provide affordable housing to those in need. The support and commitments of all three levels of government and each and every one of our partners and community stakeholders are the reason for our continued success. Today, we continue efforts to bring about positive change in the lives of families and to our neighbourhoods. We continue to work closely with communities and residents to determine the housing needs and provide assistance in accomplishing community goals.